A gradual increase is being noted in the number of organizations allowing employees to bring and use their own mobile devices. A large percentage of modern users access both business and personal data on their smartphones, tablets and phablets. So users often look for mobile apps that keep their personal and sensitive information secure and inaccessible. It has also become essential for businesses to perform comprehensive security testing to ensure that the application is not vulnerable to malicious attacks. But testers often find it daunting to perform security testing as most mobile apps nowadays target multiple devices and platforms. So the testers need specialized tools to check if the mobile app is 100% secure. Zed Attack Proxy Project (ZAP) is designed as a simple and easy-to-use static security testing tool. It was originally designed as an integrated penetration testing tool for web applications. But ZAP is currently being used widely by testers to assess security of a variety of mobile applications. As the tool allows testers to design and send malicious messages, it becomes easier for users to assess the security of mobile apps by attacking the server-side resources through malicious messages. At the same time, they can easily assess the vulnerability of the applications by reverse engineering the communication protocols. HP Enterprise Software enables testers to perform security testing of applications by targeting different devices, platforms and networks. The tool currently supports several popular mobile platforms including iOS, Android, Windows Phone and Blackberry. It further comes with features to facilitate end-to-end security testing of various mobile applications. Also, HP Enterprise Software can be used to analyze the static resources of the mobile app, schedule dynamic scans at regular intervals, emulate real user experience, and detect defects in the app in real-time environments. At present, Smart Phones Dumb Apps supports two major mobile platforms, i.e., iOS and Android. It is also associated with the Google code repository. The scripts provided by the tool makes it easier for testers to assess the source code of iOS and Android applications. So they can scan the source code of mobile apps thoroughly, and identify the weaker pieces of code that make the applications vulnerable to various security attacks. Smart Phones Dumb Apps can also be used for running fortify SCA scans on the source code of Android apps written in Java programming language. The name of the tool indicates that it can be used for exploring the file structure of iPad apps. But it can be used for exploring the file structure of a wide variety of iOS applications. The third-party tool is designed with features to read and display app data just like normal file systems. The users can further view the app data and media files in two different views. Thus, it becomes easier for users to view and explore the file structure of iOS devices more clearly. The testers can also use the tool to explore the device storage file system of jailbroken iOS devices. As the name indicates, ADB is designed as a command line tool for assessing the security of mobile apps across many Android devices. The testers can further avail the security testing tool as part of Android Development Kit. ADB can also be used as a client-server tool, and can be connected to various Android devices and emulator instances. As it enables testers to explore the file system of Android devices, it becomes easier for testers to identify the loopholes that make the mobile app vulnerable to malicious attacks. 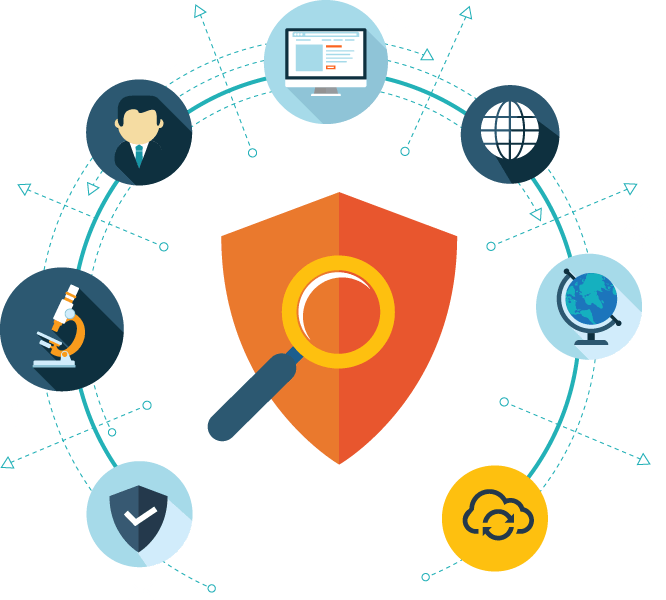 At present, the QA professionals have option to choose from several static, dynamic and forensic security testing tools. Many testers even prefer combining different security testing tools to protect the mobile app from evolving security attacks. However, it is always important for the testers to pick security testing tools according to the nature and requirements of each mobile app.